Established in 2012, the European Polygraph Academy (EPA) is a professional institution that arises from the need to spread the schooling of Forensic Psychophysiology by providing a comprehensive polygraph education and first class training to individuals who seek to learn the most scientifically reliable and latest techniques in the lie detection industry. 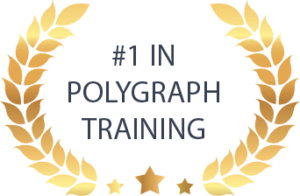 In our efforts towards extending the best practices of the polygraph profession at affordable prices, we have developed an e-Learning platform with courses available to students from all over the world. The rationale behind this BLENDED EDUCATIONAL MODEL is that Psychophysiology and Deceive Detection techniques can be pursued through online lecture, assigned reading, questionnaires and a later mandatory PRACTICUM in the nearest associate partner and/or affiliated business where our students will validate their knowledge when administering ethical, proficient and valid, single-issue, event-specific and multiple-issue PCA examinations. Our key premise is that any highly motivated individual should fulfill their distinct training needs instantly and openly, without schedules and mainly avoiding the cost of travelling to the USA and staying there for a minimum of 10 weeks of study to gain an accreditation that was lately was falling short when providing ethical and skilled practitioners in law enforcement, government, entertainment and the private sectors.